was drained and the parcellation prescribed by Cornelis van Eesteren for the new land of Noordoostpolder (north-east polder). 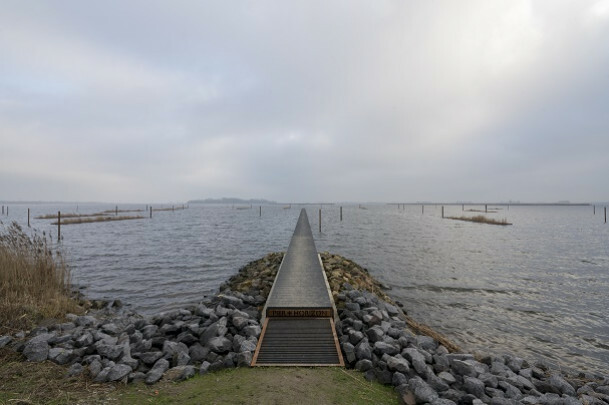 The new pier added by De Kort continues the line of the old dam and points to a tiny island on the horizon, a fragment of that dam. As De Kort says, ‘Everything is rhythm in Flevoland province’.